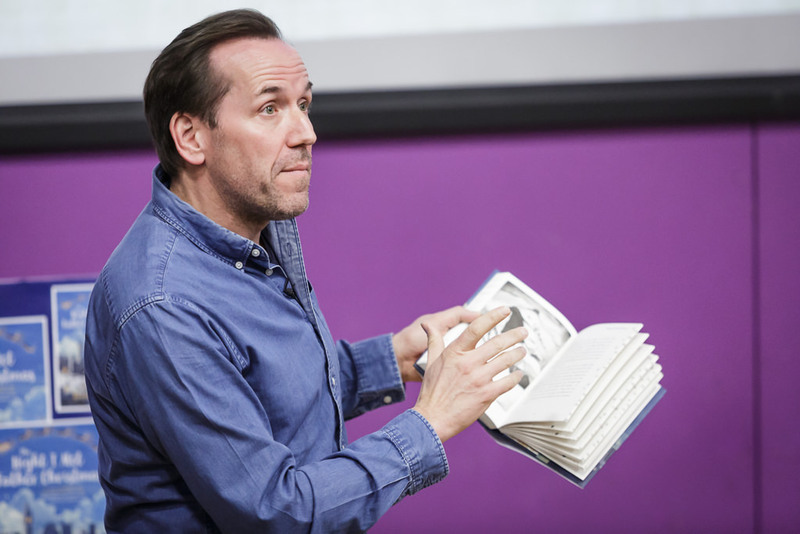 Famous actor, comedian and now author, Ben Miller joined us in the JLV last week to launch his first children’s fiction book, The Night I Met Father Christmas. 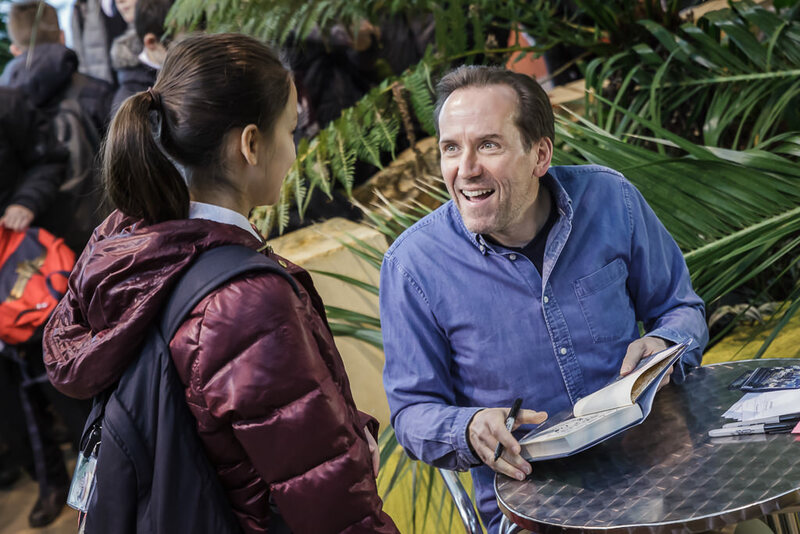 Ben Miller is an actor, director and comedian, best known for writing and starring in The Armstrong and Miller Show and his roles in Paddington 2, Johnny English and Death in Paradise. 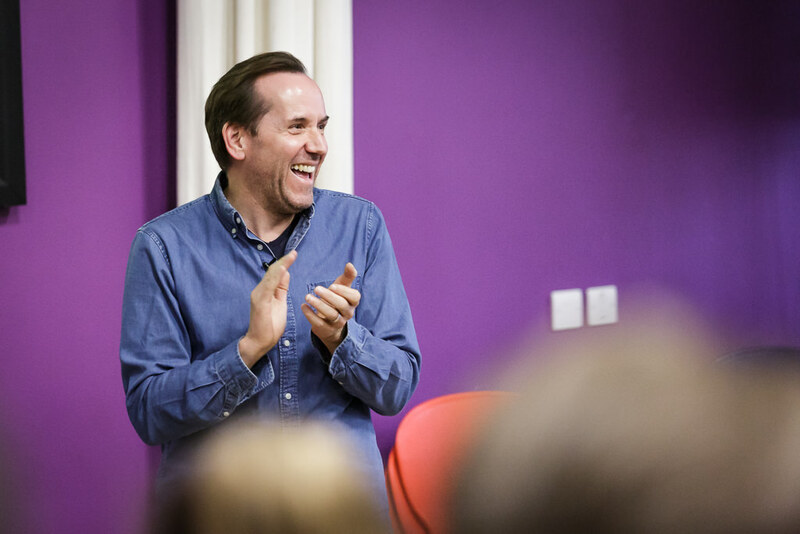 Ben began the day meeting with GCSE and A level Drama students and providing an insight into his life as an actor – offering top tips on how to learn lines, how to choose which parts to take and how to cope with rejection. During his author talk with y7 Ben discussed his inspiration to write his first book and his research trip to Lapland to track down Father Christmas. He then involved students in a giant quiz on some unusual festive facts and traditions and answered their many fantastic questions on books and acting. The Night I Met Father Christmas tells the story of Jackson who, having been told Father Christmas does not exist, decides to stay up on Christmas Eve to find out for himself. After a shocking accident, Jackson finds himself delivering the presents with Father Christmas and hears his incredible story. Part fairy tale, part re-working of A Christmas Carol, this is a funny and magical book which is the perfect story to share in the lead-up to Christmas and will definitely become a classic. Ben proved so popular that the book signing queue stretched the length of the JLV Street as students (and staff!) waited patiently to meet Ben and have their own copies of Ben’s book personalised. Thanks to Seven Stories for providing this amazing opportunity; one which staff and students will talk about for a long time to come!